Vantage Technology Consulting Group is excited to announce that Joanna Grama is joining our firm as a Senior Consultant. Joanna has more than 15 years of experience in higher education with a strong focus in law, IT security policy, compliance, governance and data privacy. Joanna is a member of the U.S. Department of Homeland Security’s Data Privacy and Integrity Advisory Committee (appointed to the Committee by Secretary Janet Napolitano) and serves as the chairperson of its technology subcommittee. 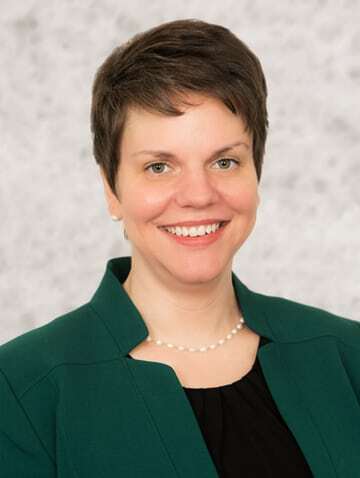 Joanna is also a member of the Information Systems Audit and Control Association (ISACA); the International Association for Privacy Professionals (IAPP); the American Bar Association, Section of Science and Technology Law, Information Security Committee; and the Indiana State Bar Association. She has earned certifications in CISSP, CIPT and CRISC. Most recently, Joanna was Director of Cybersecurity and IT Governance, Risk and Compliance programs at EDUCAUSE where she directed programs designed to help improve higher education information security governance, compliance, data protection, and privacy postures. Besides being a prolific author and frequent public speaker on information security and privacy issues, she is also author of the textbook, Legal Issues in Information Security, 2 ed (2015). Joanna will be speaking at the National Association of College and University Business Officers (NACUBO) annual conference this summer and the College and University Professional Association for Human Resources (CUPA-HR) annual conference this fall on data privacy practices. Before her EDUCAUSE experience, Joanna worked in the IT group at Purdue University as the Information Security Policy & Compliance Director. Joanna graduated from the University of Illinois College of Law with honors and practiced law before joining the Purdue staff. Her undergraduate degree is from the University of Minnesota-Twin Cities. On a personal note, Joanna is an avid reader, dedicated runner (but on the injured list for 2018) and enthusiastic marching band parent. You can connect with Joanna on LinkedIn or follow her on Twitter. Should We Worry about Information Security in Higher Education?